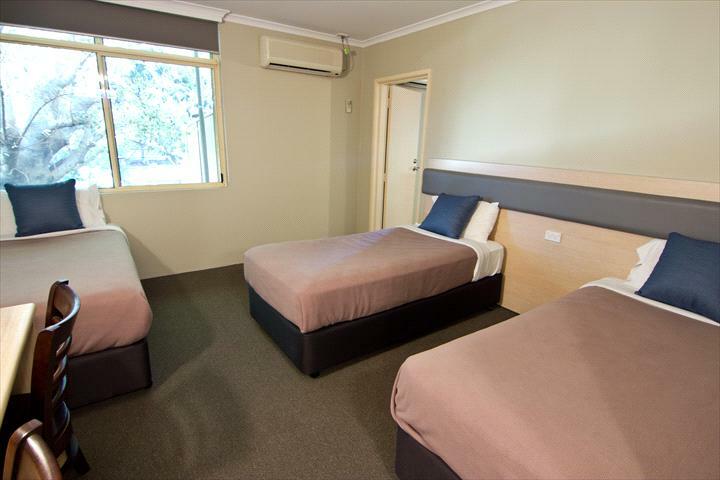 Lakeview Hotel-Motel offers family style accommodation with 25 rooms (each with ensuite) situated on the perimeter of the hotel grounds. Lakeview Hotel-Motel also has its own excellent family Bistro and fern filled Beer Garden area, plus pool tables and gaming machines. 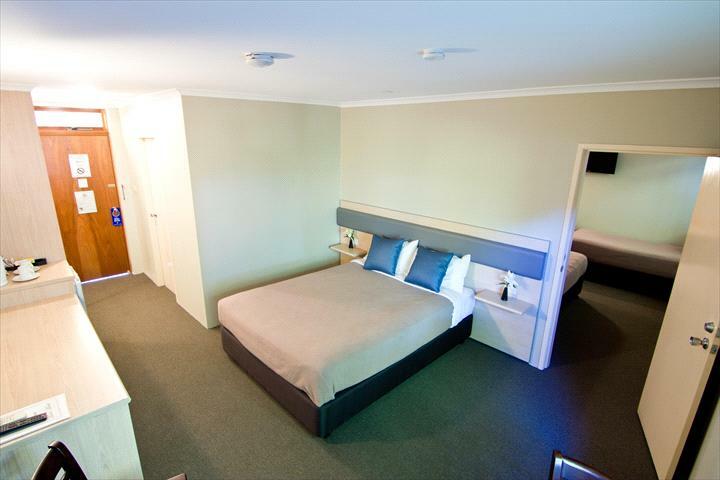 Ideally located in the heart of Shellharbour City, the Lakeview Hotel-Motel is central to many of the South Coast's attractions including Lake Illawarra, Minnamurra Rainforest, Jamberoo Recreation Park, patrolled beaches, 5 golf courses, Kiama Blowhole, fishing, shopping centres, cycle ways and much more. Call in and see the friendly staff at the Lakeview Hotel-Motel next time you're ready for a great holiday getaway! From the Princes Hwy, Albion Park, take the New Lake Entrance Road, Shellharbour Exit. Go straight through the roundabout. Travel along Lake Entrance Road for 1.2kms. Turn left at the traffic lights. You are now in Government Road, Oak Flats, follow Government Road for 100m and you will see Lakeview Hotel Motel. Welcome. 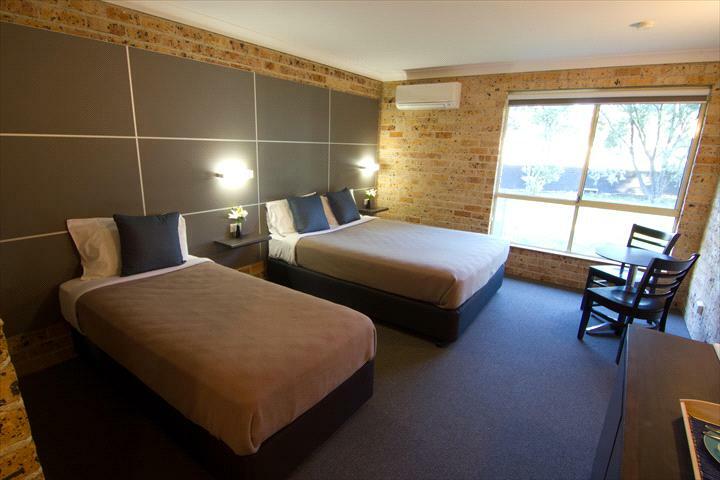 Queen bed and 1 single bed, ensuite, air conditioning, tea & coffee, toaster, mini-fridge, flatscreen TV. 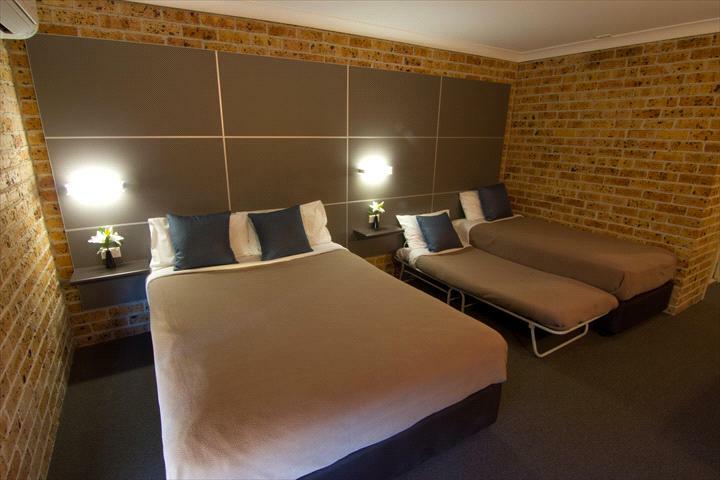 Our cancellation policy requires a booking to be cancelled 24 hours prior to the arrival date. Failure to cancel will incurr a no show charge equal to one nights accommodation. Changes made to a booking during a stay must give 24 hours notice of the amended departure date to avoid the same fee.